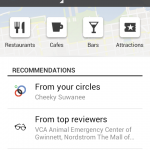 It wasn’t long ago that Google was just another search engine, but that is no longer the case. With the rapid adoption of cloud computing and smartphone usage, Google has quickly built up an impressive product portfolio on its way to becoming the second most valuable tech company in the world. 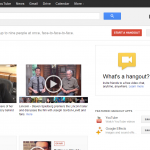 In 2011, Google decided to step into the social media world with the launch of Google Plus. 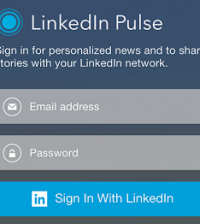 At the time, it seemed like just another social media network, but that, too, is no longer the case. 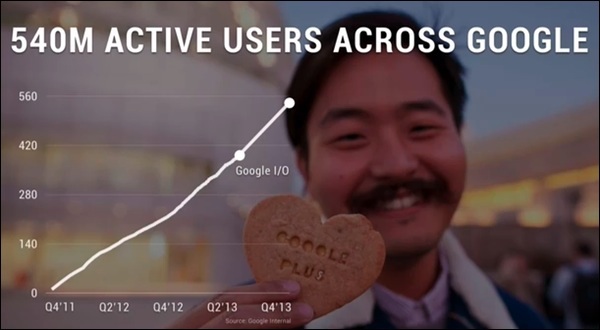 Many write off the platform – often referring to it as a “ghost town.” However, Google quietly introduced new features and benefits of using Google+ by tying the social network with its other dominant services such as Google Search, Maps, Local, Drive, and YouTube. 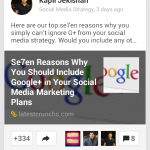 Now that Google Plus is the “second-most active social network,” and, because of this tight-knit integration of products, it is a necessity for marketers to take advantage of the platform in order to increase visibility. 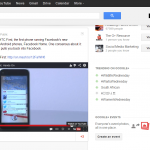 The connections between Google services and Google Plus is becoming more prominent by the day. The possibilities are really limitless: With a single Gmail account, you can access E-mail, Google Analytics, Google Drive, Google Local, YouTube, and much more – all backed by the world’s most popular search engine. 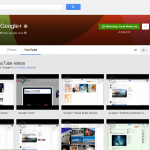 Photos and videos can be uploaded from Google Drive and shared directly to Google Plus. Videos, in particular, are one of the most engaging types of content that can be used by marketers today, and Google’s YouTube service is the 3rd largest social network in the world. 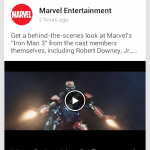 With Google Plus, brands have the added advantage to be able to link their YouTube accounts directly to their Google+ profile page so that YouTube videos can be quickly accessed. 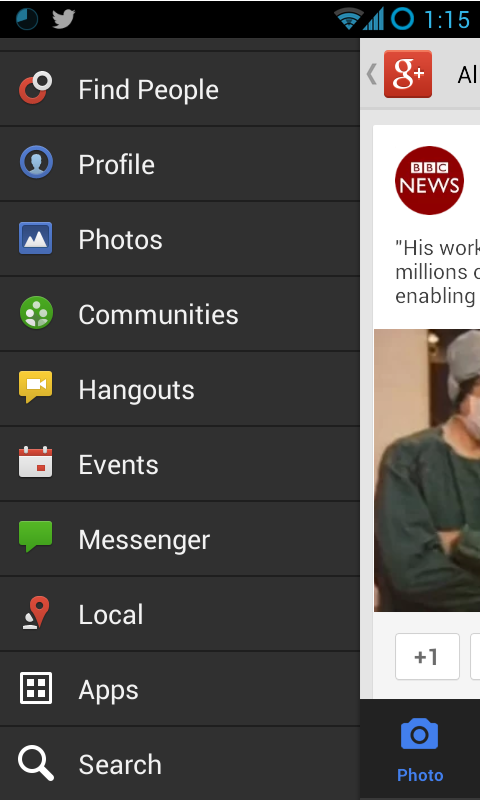 Also, Hangouts can be used to video chat and can be streamed directly to a connected YouTube channel. Unlike Facebook, brands don’t have to pay to be more visible to their audiences on Google Plus, and they also have the ability to respond to other users’ public posts. 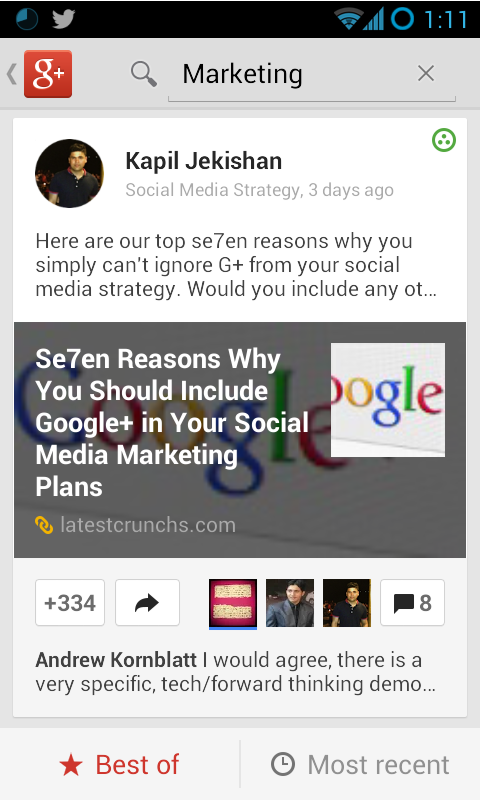 This is especially beneficial for where Google+ really shines: Niche communities based on interests and passions. 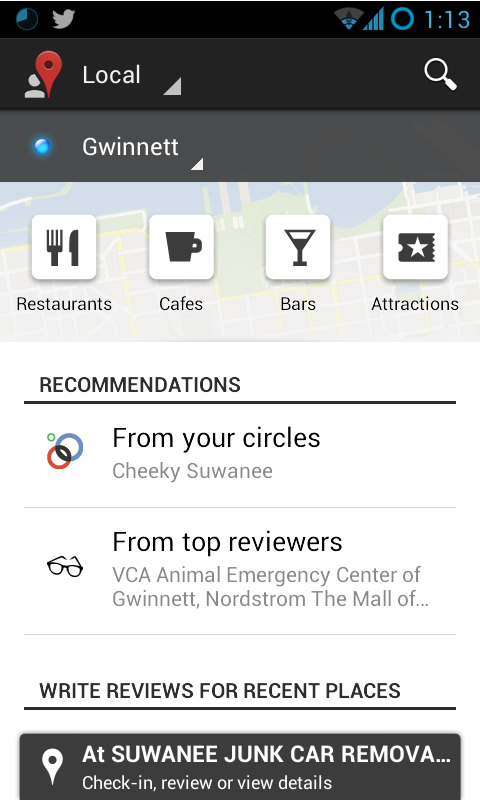 Despite its criticisms, Google Plus got one thing right directly from the start: A great mobile platform. 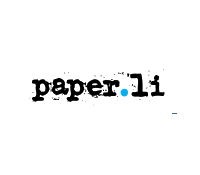 It is absolutely beautiful and has a fantastic User Interface that has steadily improved. 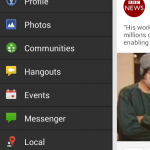 The synchronization of all Google services with Android, the world’s most popular mobile platform, is another reason why Google Plus can not be ignored. 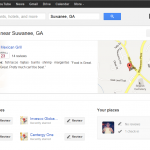 On both the phone and desktop, Google Local and Google Place pages are taken into account in Google+ search results so that customers can easily find businesses around them. 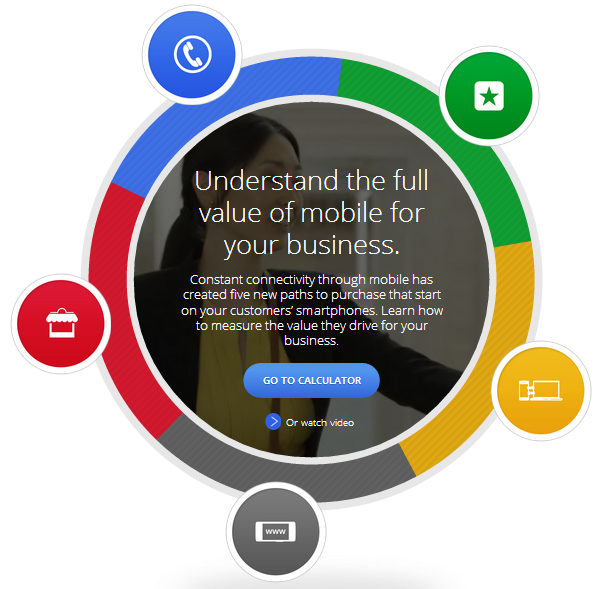 With U.S. mobile local advertising expected to grow to $9.1B by 2017, Google understands how important it is for marketers to utilize mobility thanks to the SoLoMo revolution. They also released their “Full Value of Mobile” website which offers videos, case studies and ROI calculators for different mobile and multiscreen scenarios. 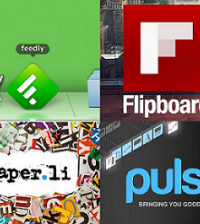 Google+ offers one unique benefit for bloggers over competing social networks like Facebook, Twitter, and LinkedIn: The ability to establish authorship. Bloggers can link their Google+ profile directly to the content that they contribute by adding a website domain and then verifying the email address that is attached to this account. 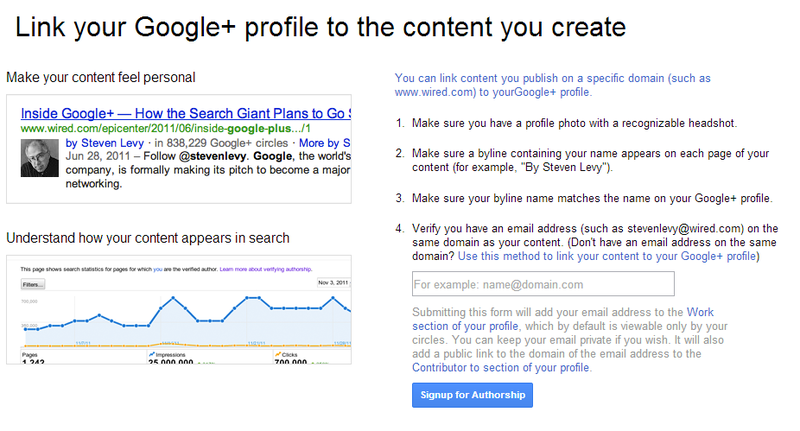 This will add a personal touch to your content in regular Google Search results by showing your profile picture and adding a link to your Google+ page. 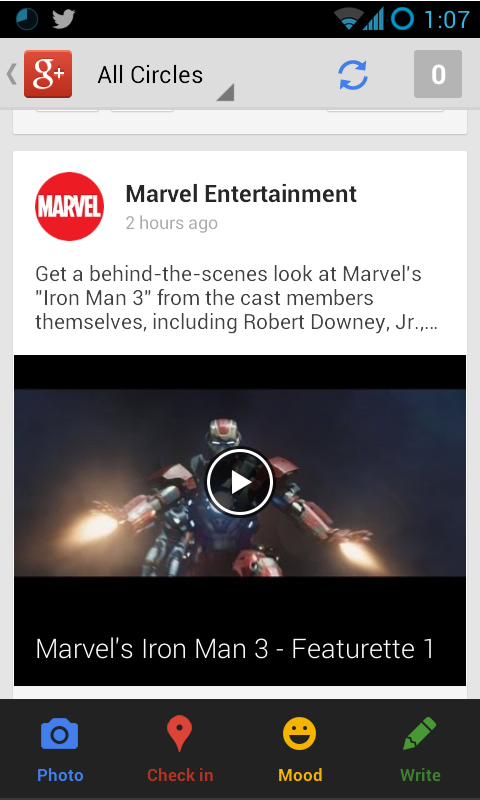 Vice versa, it will then show on the About section of your Google+ page which sites you are a verified contributor to. Taking it one step further, with Google Search your content ranks higher in search results to those who have added you to their Circles – since Google will regard it as more relevant to your personalized results for SEO purposes. 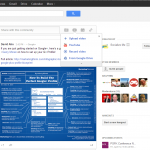 How Has Google Plus Benefited You? Google Plus offers tremendous value and increases the visibility of your business exponentially, and ignoring this social network now is a big marketing blunder. 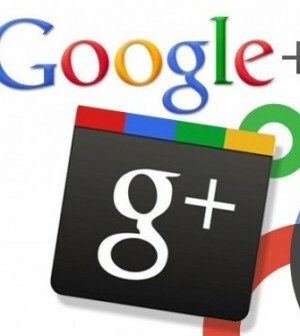 Please let us know if you have any additional keys to unlocking the power of Google Plus, and if you have any questions, leave them in the comments below. 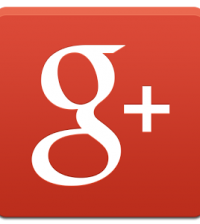 Circle me on Google Plus.